Ok, so this is a bit late. And how I don’t know because really it is the greatest news so far! About two weeks ago we asked for prayer because our Dossier had been submitted and we were hoping for a quick response. Well, God answered FAST! Little Mouse woke up at 4:30 AM on Sep 7. I remember because when I looked at my phone to check the time there was an email from our fantastic adoption facilitator letting us know that we would not be needing our 30 day count down. We had been granted our match request! We are now waiting for all the official paperwork from our little girls country so that we may submit our next application to USCIS. This will grant her permission to immigrate to the US as our child. So, are new prayer request is for these papers to come quickly! 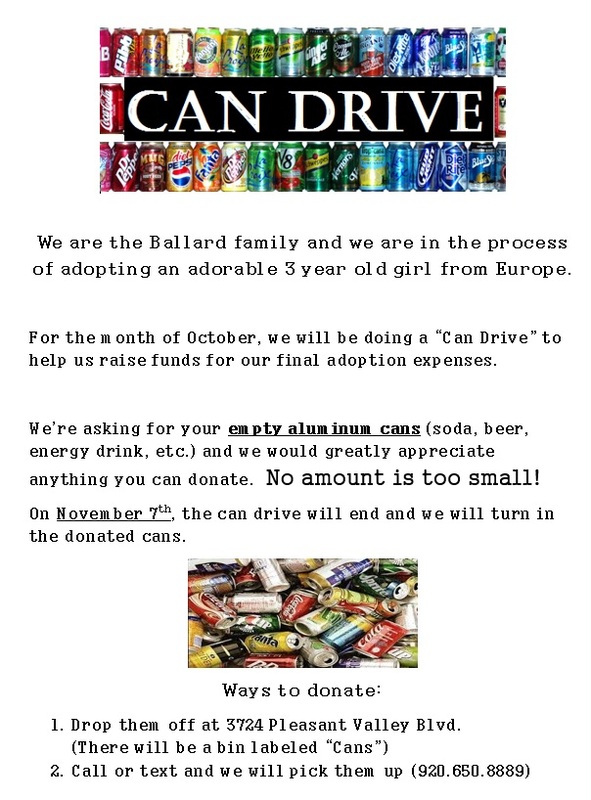 While we wait I have a few fundraisers going. The Tastefully Simple fundraiser will go through September 30, we still have Eggs available, and I am preparing for one last rummage sale. Wait…This is becoming a recurring theme. Our home study has finally been written. It has been approved by our home study agency, adoption agency, and us. Now it needs to go to DCFS in Springfield for a one women department, Intercountry Adoption Coordinator, to put her stamp of approval on. I’ve been told this is currently taking about a month. UGH!!! A whole month! For NO reason! Illinois is the only state that still requires this approval. There is a bill, HB 3079, just waiting to be signed to end this non-sense. We likely will not benefit from it though. PLEASE pray with us that we get our HS approval much sooner than anticipated! As soon as that comes we can file our I800a with USCIS. 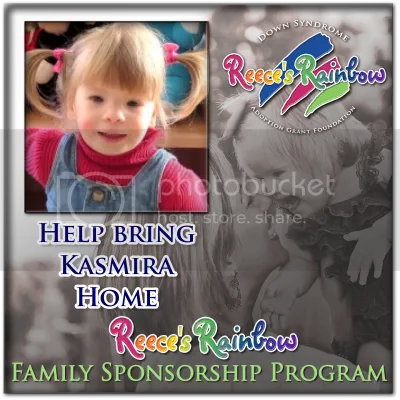 This will give us permission from the US government to adopt a child from a foreign country. This process can take 4-6 weeks, so the sooner we can apply the better. We can’t submit our Dossier to our daughter’s country until we have this form from USCIS. As you can see we will be waiting A LOT this year. If there seems to be a lot of time between postings it is because we are waiting. Again. Psalm 27:14 Wait for the Lord; be strong and take heart and wait for the Lord. Psalm 5:3 In the morning, O Lord, You hear my voice; in the morning I will order my prayer to You and eagerly watch. In the meantime though we are fundraising. The egg fundraiser will run until we are out of eggs. Judy’s shirt is available for a few more days. We will be having our 2nd rummage sale this weekend. I will be doing a children’s clothes auction soon as well. A friend has graciously offered to hold a Scentsy fundraiser for us June. So, be watching for that! It’s going to be awesome. We are planning a Bike/Trike-a-Thon for August. There are so many ways to be involved! You can find out FSP on the blog and my sister has a YouCaring account for us. Here is a post designated to our Hand Painted Egg Fundraiser. 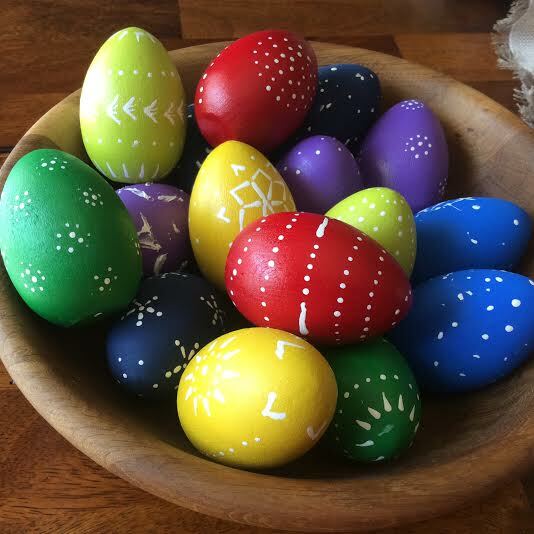 Over the years we have purchased decorated eggs from artisans in the markets while in Eastern Europe. Zack and I have painted our own version of their painted egg. During “trial and error” I learned that using real eggs was going to be a bad idea, we broke several. So we have chosen wooden eggs with a flat bottom so they can sit up and be displayed. Each hand painted egg has a number 1-50. To purchase an egg, let me know what number egg you would like, that is also the cost of the egg. Example; egg #2 is a $2 donation, egg #42 is a $42 donation. Zack is very excited for his sister and wants to help, eggs 5, 15, 25, 35, 45, and 50 were decorated by him. For every egg purchased or time you share our fundraiser your name will go into a drawing for a carved egg from our daughters birth country! Thank you SO very much for helping bring Ruthie home!! We couldn’t make this happen without your help. We have a few fundraisers going right now. I am so excited for each one. Our little girl has a Prayer Warrior from Reece’s Rainbow who has now become our Family Warrior. Judy has designed a shirt that works for anyone. It says “Bent, but NOT broken!” on the back. This saying has personal meaning to Judy making it even more special to us. The shirt is available in a variety of sizes and styles including women’s, youth, long sleeve, and sweatshirt. My cousin, Courtney, has also started a shirt fundraiser. This one has a country outline with their flag colors on the front. The back says “God has perfect timing; never early, never late. It takes a little patience and faith but it’s all worth the wait.” Oh so very true and a reminder we constantly need! Little Moose and I still have eggs available too! This was super successful in the beginning, Thank you to everyone who jumped on board when it started! Here is the info on the eggs. Over the years we have purchased decorated eggs from artisans in the markets while in Lith. Zack and I have painted our own version of their painted egg. During “trial and error” I learned that using real eggs was going to be a bad idea, we broke several. So we have chosen wooden eggs with a flat bottom so they can sit up and be displayed. For every egg purchased your name will go into a drawing for a carved egg from the capital of our daughters country.